Clutch kit for Scout II, Travelall, or pickup with 11" clutch. Kit includes 11" pressure plate, clutch disc, throwout and pilot bearing, disc alignment tool and a grease sleeve. 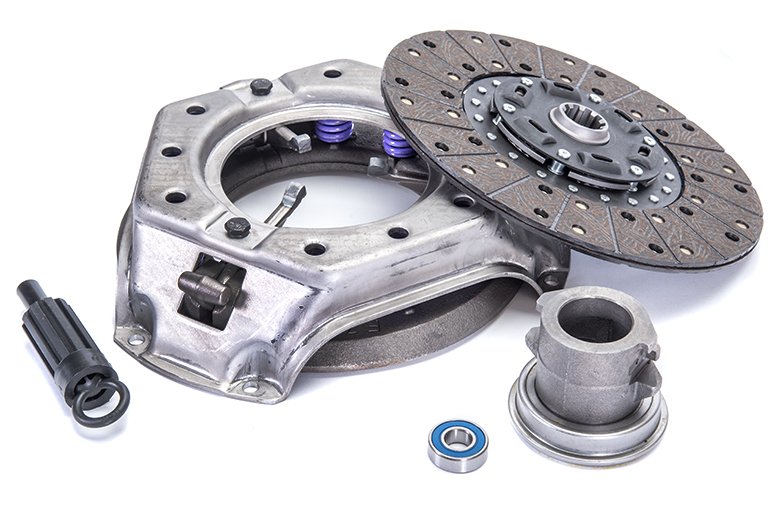 When Ordering This Clutch Kit We Need To Know: Clutch Disc Diameter, Spline Count, and Shaft Size 15/16 or 1-1/4. ***Rear main seal is also available, but not included! Order if needed.